Let’s talk. If you just want to chat or are interested in advertising, I’d love to hear from you. Before I was a Blogger-At-Large I was a copywriter in the advertising department at Saks Fifth Avenue so I know my way around some copy if you know what I’m sayin. I also work as a freelance journalist for several local, online media outlets. Reach me at gillisgood @ gmail dot com, and let’s make a deal. Or talk. I’m really good at talking, too. Hi there! 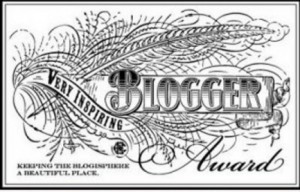 I just got nominated for a Beautiful Blogger Award (my first award!) and have listed (and linked) you as one of my favorite bloggers. Hope you don’t mind. The post will be be published monday. Hope you check in. Hey, thanks! Would love to check in but every time I click on your link I get a page that says A Pleasant House but otherwise is blank. What? That’s not good. A link from where? Try http://www.apleasant.com and then if you would be so kind- get back to me and tell me what happens. Your current link must be to an old blog. It’s apleasanthouse.wordpress.com. No, it’s just my wordpress account so that I can leave comments on wordpress blogs for the embedded ‘comment luv’ that wordpress offers. I’ve never place apleasanthouse there. I’m on blogger but I own my URL so I don’t know why this link keeps directing you to wordpress? Any suggestions?